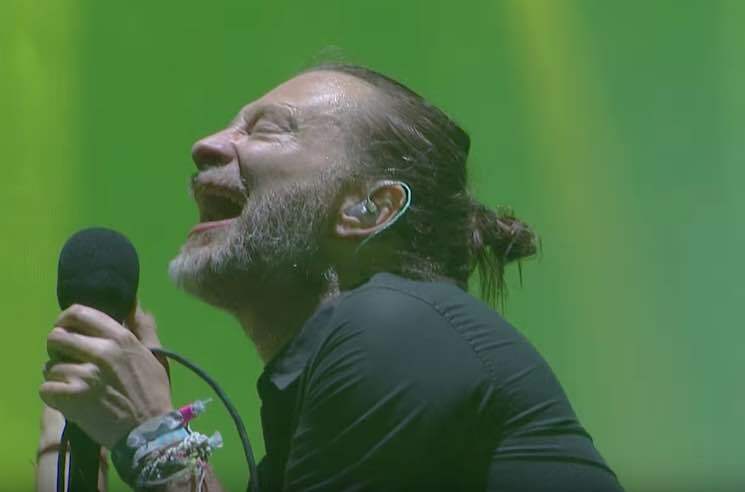 Back in April, Radiohead headlined a night of each Coachella weekend in Indio, CA — and now footage of their complete April 21 set is available to watch. They've shared the entire two-hour set on YouTube, so whether you were there in person or watching it on the livestream (or missing it entirely), you can experience it again (or for the first time) right now. Stream the full video in the player down below. Since performing at the West Coast festival, Radiohead have observed the 20th anniversary of their seminal 1997 album OK Computer with the elaborate OKNOTOK reissue package. They've also been embroiled in a public spat with Roger Waters and other artists over their controversial upcoming concert in Tel Aviv, Israel.